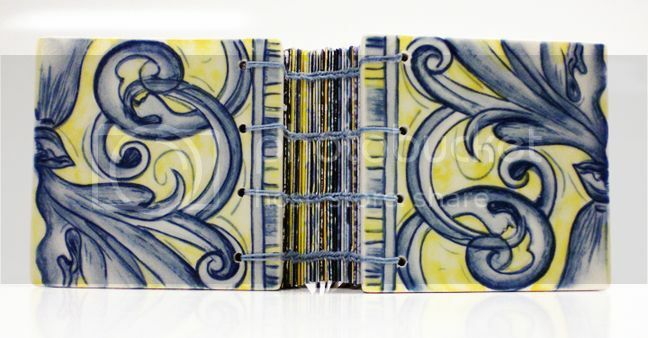 I had oh so much fun teaching my first bookbinding workshop last August, I've decided to give it a go here in California. Who: Anyone living in Southern California (or maybe just visiting for the weekend, or maybe you want to fly/drive out here just for the occasion :) over the age of 12. 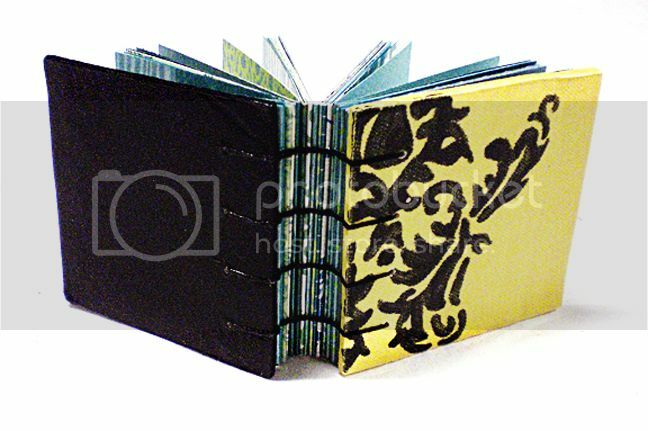 What: Learn how to make a 5 x 7" book using a copic style binding. 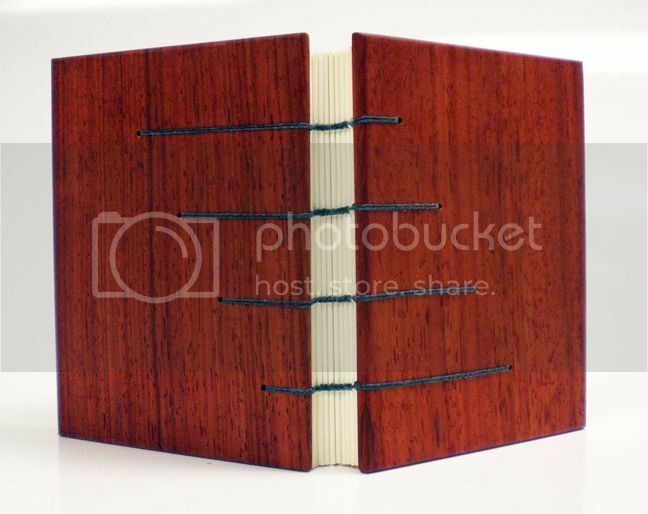 This type of bookbinding is fun because you can create the cover from a variety of materials such as wood, Plexiglas, cardstock, binder's board, tile - if you can drill holes through it, you can use it as a cover! Bonus - there's no glue involved. 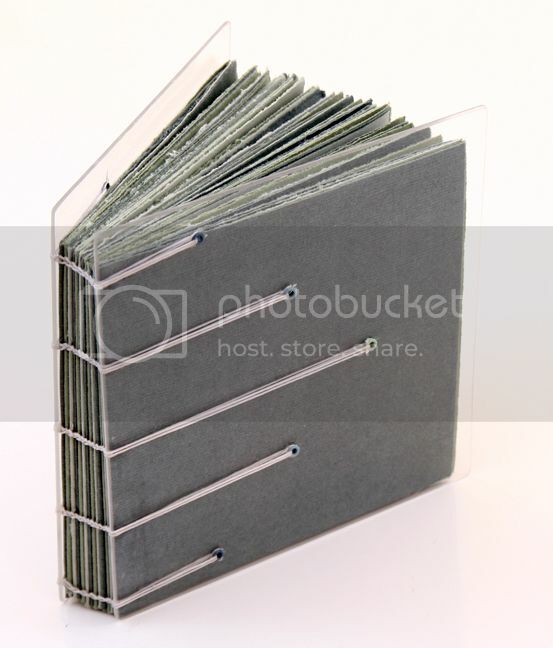 I will provide Plexiglas covers, or you can bring your own cover materials. Where: To be determined - somewhere in Southern California, close to South Pasadena, depending on how many are interested - I will let you know exactly where a few days prior to the workshop. 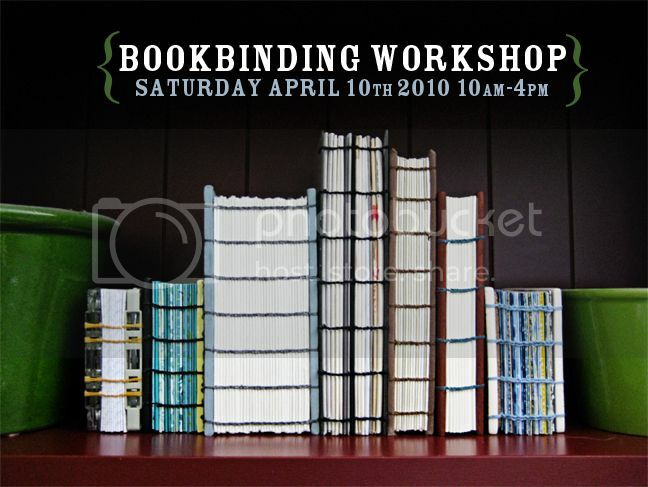 When: Saturday, April 10th 2010, from 10am-4pm, or shorter/longer depending on how fast peeps finish. Last time we finished at exactly 4pm and there were 8 attendees. Why: There's nothing quite like the feeling of holding a book you've made all by yourself in your hands. It's satisfying and fun and addicting! Cost: $20 workshop fee plus the cost of some materials (around $20) which you'll buy beforehand (I'll email you a complete list) and bring to the workshop. How: E-mail me if you are interested in attending or have any questions. Notes: Costco pizza will be provided for lunch. 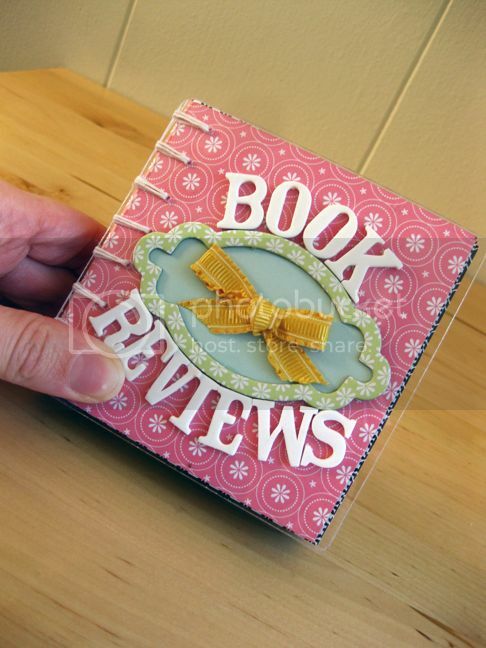 I will give you a detailed list of instructions so you can continue making books for the rest of your life. Testimonial: Lindsey was one of the workshop attendees last time and has taken what she's learned and is creating books a-plenty! 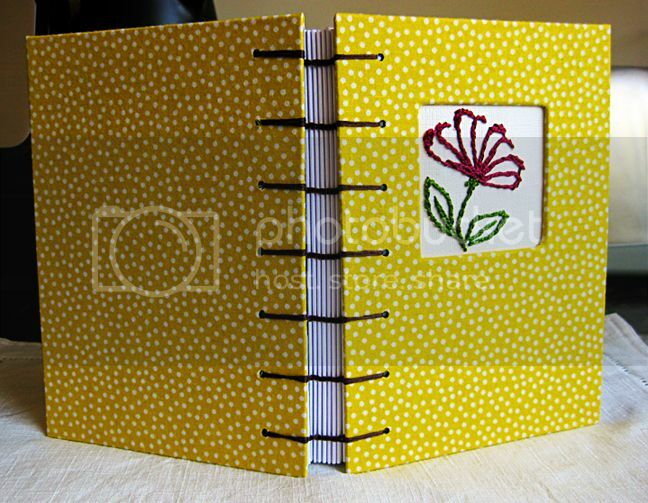 She recently did a giveaway of one of her handmade books on her blog: check it out here. 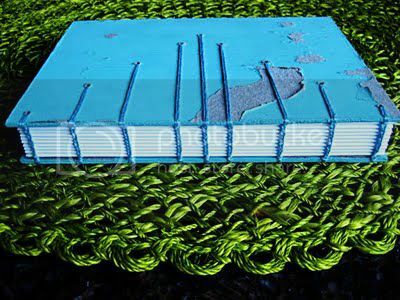 Lindsey says, "Ever since I saw Paige's books, I admired them so much that I was determined to learn how to make them. 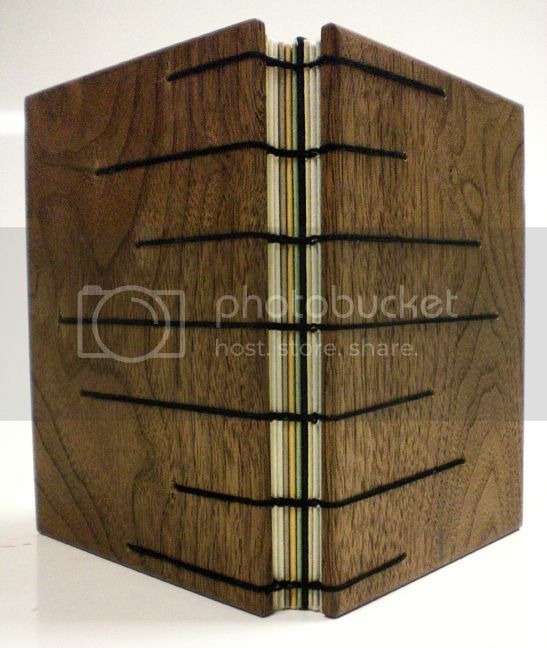 When Paige said she was going to have a bookbinding workshop I am pretty sure I was the first one to sign up. I enjoyed all 6 hours of the workshop. She is such a great teacher, and I still remember to this day how to make them. It was money well spent." Ooo Paige, wish I could be there but my family will be visiting. I LOVE your books! Yes, I agree an online class would be FAB!!! I wish I could be there in person to see you and all your fam books - they are sooo wonderful!! I wish I could come! 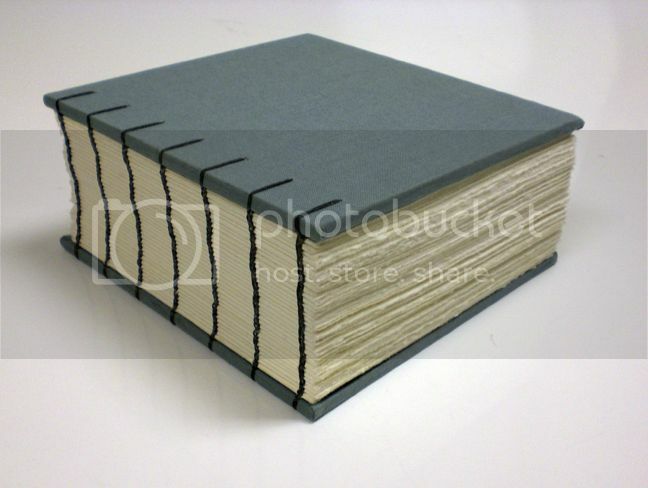 you know I love the hand made books! I am with Jude and Amy on this one - online class would be terrific! :) You should think about it! I really, really, wish I could come! I agree with the others hoping for an online class. I wish I lived in California!! Your books are gorgeous Paige - maybe some day you will take your class on the road...or even online? 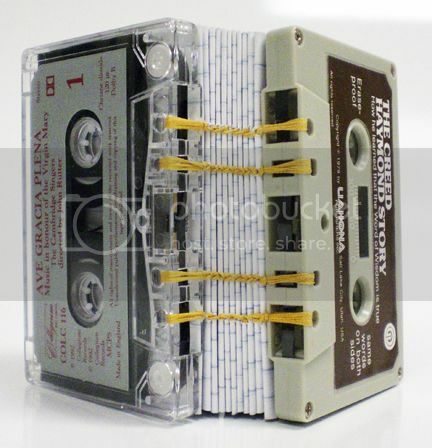 Would love to take it and learn how to make these. Oh!!! I WANNA GO!!! MAN! Hmm... where can I get some money to fly there?! LOL. What can I sell?! Wow... these are so awesome... wish I could come... would love to learn how to do this! 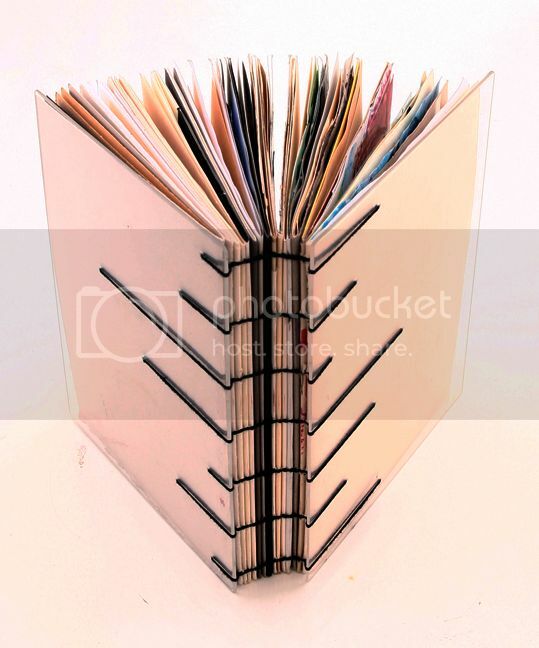 I keep trying to think of a good way to use my Paige book... any suggestions? I want to make sure it is something special!! I LOVE IT! !